Fishing has always been an integral part of Jake McFedries’ life. With a father who spent a fair amount of time recreationally fishing, McFedries practically grew up on the water. Being surrounded by boats and anglers and with his own love for the sea, McFedries knew he wanted to make a career out of fishing. “The appeal of fishing is what got me into the industry. It was always something I wanted to do,” he said. His first taste of the industry was at the age of 15, fishing from the Anna Maria out of Motueka. By 18, he had received his skipper’s ticket and at 22, he moved on to skippering a larger boat, Te Aroha. 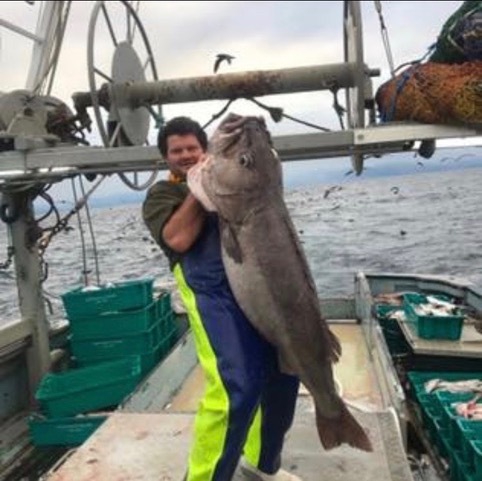 Now 28, he skippers the FV Mako, travelling along the coasts of Motueka, Greymouth, Nelson and Picton, where they fish for inshore species like gurnard, snapper, John Dory, tarakihi, red cod and monkfish. Between July and September, McFedries and his crew chase the deepwater species, hoki. It’s a small team of just four that work aboard the Mako, so McFedries and the owner, Dom Talley, take turns skippering - doing two trips on and two trips off. It’s a schedule that suits particularly well and gives him time with his young family, McFedries says. It’s also a career he sees himself continuing with. “It’s quite rewarding. You’re around a lot of like-minded people who are passionate about what they do. “You get what you give to this industry. That’s what I love about it. The more you put into it, the more you get out of it.